Nuke Pro: Pilgrim Nuclear Shutting Down, What is the Status of the Other 31 Dangerous GE Mark 1 Nuke Plants? 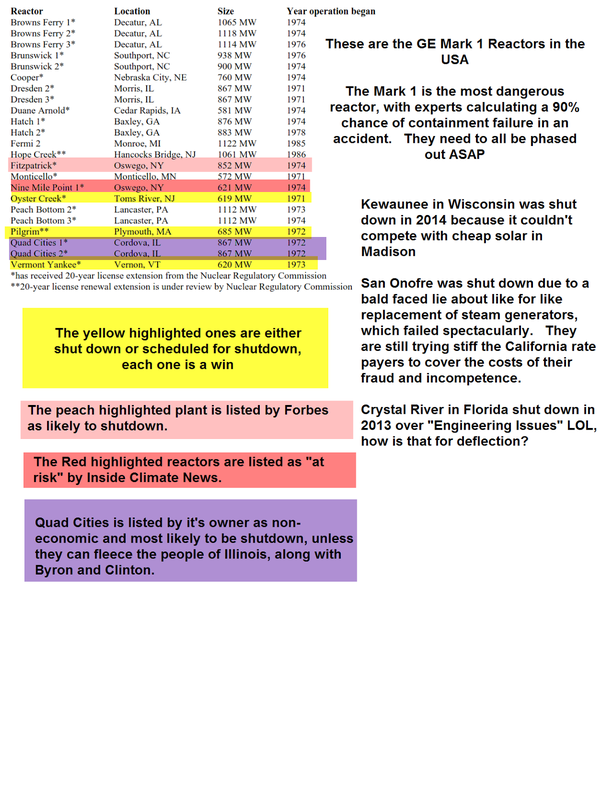 Pilgrim Nuclear Shutting Down, What is the Status of the Other 31 Dangerous GE Mark 1 Nuke Plants? Quick summary of the dangerous Mark 1, and other plants shutting down.